Hey guys, thanks for dropping by! 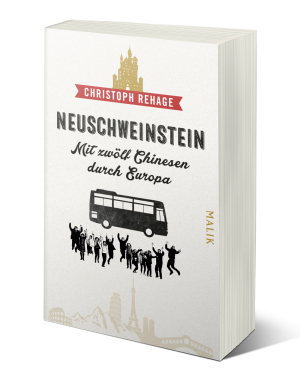 “Neuschweinstein” (German) (also in Chinese) is about a Chinese travel group that I joined in Beijing to travel through Europe together. We landed in Munich at 6am on a Sunday in February, and we immediately started sightseeing. Only there weren’t any sights to be seen at that time, and it was really cold. The next day we saw Venice, then Florence, Pisa, Rome, Lucerne, Paris and Frankfurt. We took a lot of selfies. But then, who doesn’t? 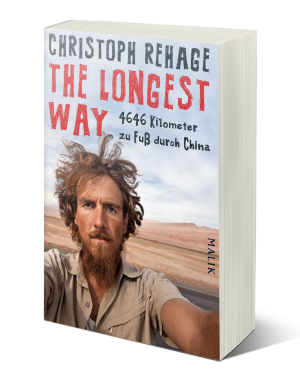 “The Longest Way” (German) (also in Chinese/Russian) is a recount of my walk through China. 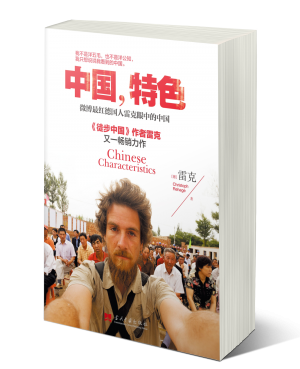 This book tells the whole story of one year on foot from Beijing to Ürümqi in 2007 and 2008. I tried to be honest about the whole thing. Because walking isn’t just about feeling awesome and “finding yourself” on the road. There are self-doubts. Sometimes there is moral decay and sadness. And then maybe there is also the beauty of being alive. 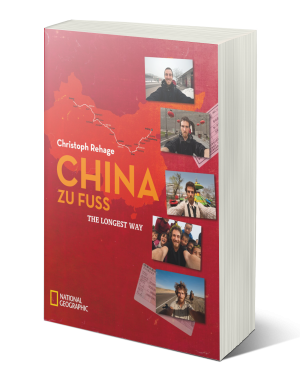 “China Zu Fuß” (German) is a National Geographic coffee table book about that same walk. This one tells the story in a different way, not with so many personal observations and gritty details, but with glossy photographs, short texts, maps and captions. I wanted to make a book that is not so much about the act of walking, but more about the visual aspect of the country I walked through: China, in a time of great change. “Chinese Characteristics” (Chinese) is a collection of articles I wrote for Chinese newspapers in 2013 and 2014. Obviously, they are all in Chinese. Don’t expect too much from me though! I am not bad at Chinese, but the way I express myself is still very simplistic. The editors as well as the readership seemed to like this though: here is a grown up from abroad who writes like a middle school student! The topics cover mostly China and Germany and my personal experiences in these two countries.